Hearts & Stars Salon & Day Spa is a full-service beauty salon providing hair services, esthetician services (such as facials and waxing), manicure/pedicure services and retail sales of professional beauty products and branded merchandise. Harsin leads the salon team and the staff includes expert stylists who can provide the latest looks and styles for hair, skin and nails. 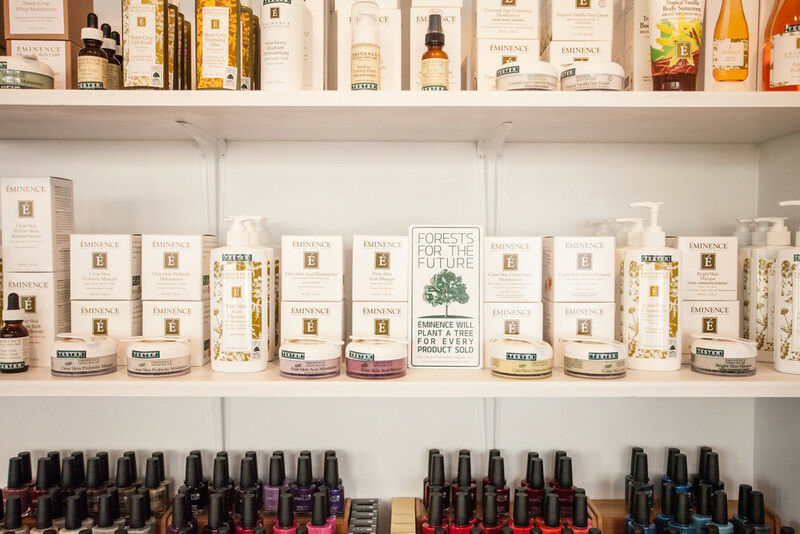 Wth the same attention to detail that Harsin has put into his product’s packaging design, the salon is a beautiful and relaxing oasis – features include upscale comfortable furniture and equipment, and a soothing ocean-inspired color palette. Featured product lines include Hearts & Stars Hair Products, Éminence Handmade Organic Skin Care Products, and CND Professional Nail Products.